Each year, the National Hurricane Center estimates that tropical storm-related flood damage costs literally billions of dollars. In 2011, it was estimated at $8,410,469,500. In 2005, the year of Hurricane Katrina, that number was $51,173,065,465. So, to have a tool that can help forecast the potential for flooding rise means better preparation and reduced damage and costs. A multi-model seasonal climate prediction system has shown it can improve NOAA’s operational forecasts when it comes to predicting the possibility of severe floods or droughts, especially in South Florida. 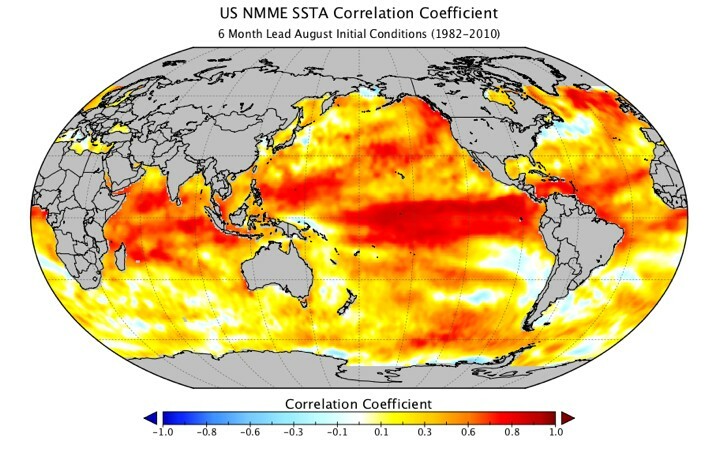 And this week, based on phase 1 of this multi-institution research project, NOAA, NASA, the National Science Foundation (NSF), and the Department of Energy awarded a two-year grant of $1.9M to the team led by CCS’ Ben Kirtman that includes nine other principal investigators from government laboratories, universities and non-profit organizations. This new effort will expand on their phase-1 work, essentially making the most comprehensive multi-model prediction available in real-time to all sectors of society. “We started phase-1 of the project in February 2011 and became ‘real-time’ in August 2011,” Kirtman said. “Some of the preliminary results show that the new multi-model ensemble really improves the predictions over the southeastern United States, particularly Florida. The project incorporates information from a culmination of the climate models from the participating organizations, which include: the University of Miami Rosenstiel School for Marine and Atmospheric Science, NOAA’s Geophysical Fluid Dynamics Laboratory, NOAA’s Climate Prediction Center, NOAA’s Environmental Modeling Center, NOAA’s Earth System Research Laboratory, NSF’s National Center for Atmospheric Research (NCAR), the Center for Ocean Land Atmosphere Studies (COLA), NASA’s Goddard Space Flight Center, the International Center for Climate and Society, and Princeton University. In turn, this data will be factored into NOAA’s operational forecasts, which will have specific significance for the seasonal outlook for tropical storms and hurricanes. In particular the results from the project are already being shared with the South Florida Water Management Department with the intent of improving its decision systems for fresh water management on seasonal time scales.